Fortnite by Epic Games is a widely popular strategy-focused online game for Windows, macOS, iOS, Android, Nintendo Switch, PlayStation 4, and Xbox One platforms. It has several modes, which allow gamers to play alone or on a team. However, sometimes we may face the situation when we need to delete an application. 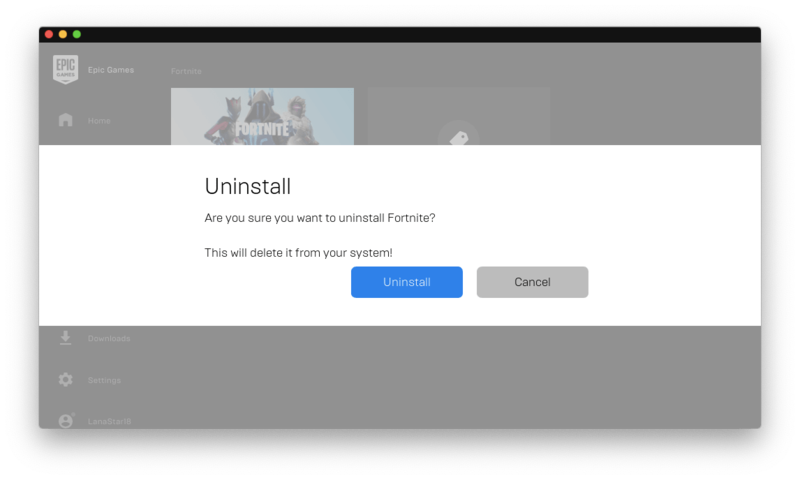 In this post, we are glad to share with you three ways to uninstall Fortnite on a Mac. 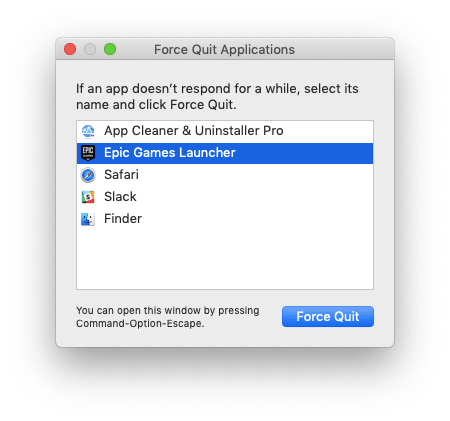 How to delete Fortnite on a Mac using Epic Games Launcher? How to uninstall Fortnite manually? 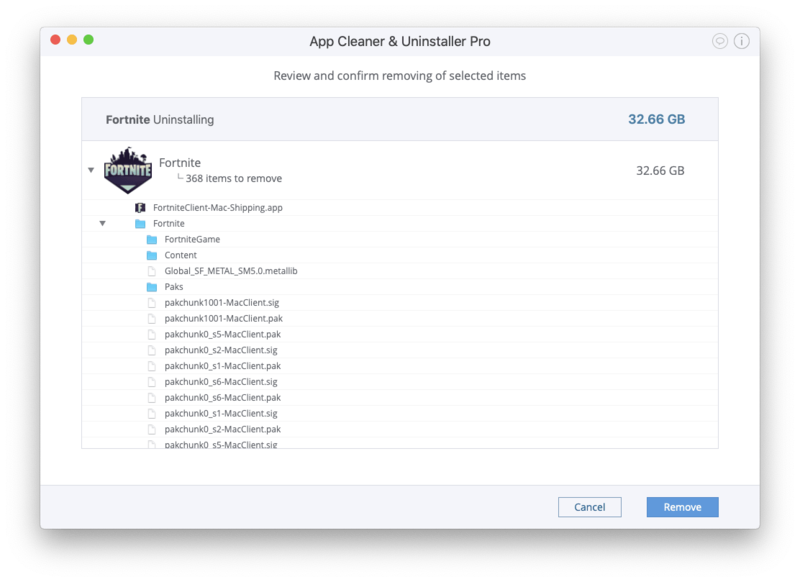 How to remove Fortnite using App Cleaner & Uninstaller? To begin playing Fortnite, every Mac user launches the Epic Games Launcher application. It is like a bridge between you and your Epic Games online world. 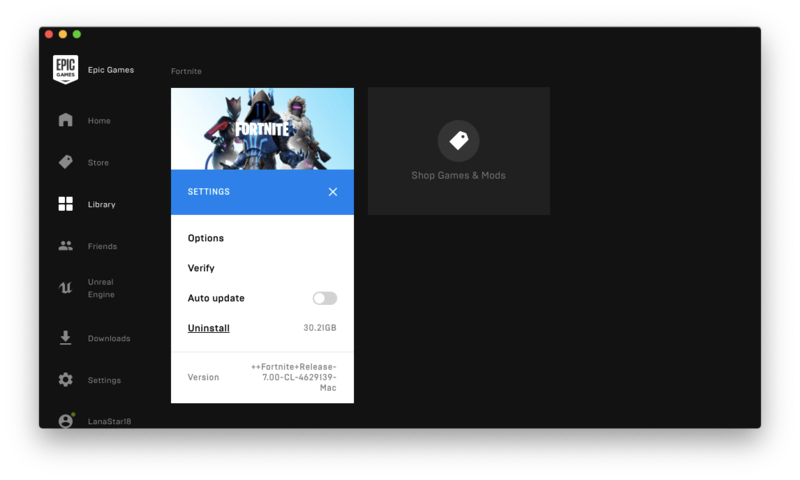 Epic Games Launcher allows you to buy and play games, communicate with friends, manage your account, and so on. Even so, if you want to uninstall Fortnite from your Mac, you do not have to delete the Epic Games application if you wish to keep playing other games. 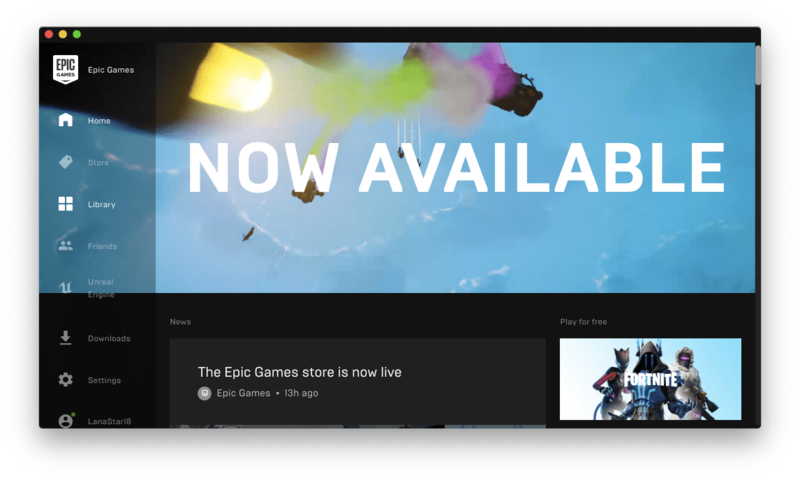 Launch Epic Games Launcher → click on the Library section. Select Fortnite → click on the gear icon → select Uninstall. In the window that appears, click on the Uninstall button to confirm the Fortnite deletion from your Mac. 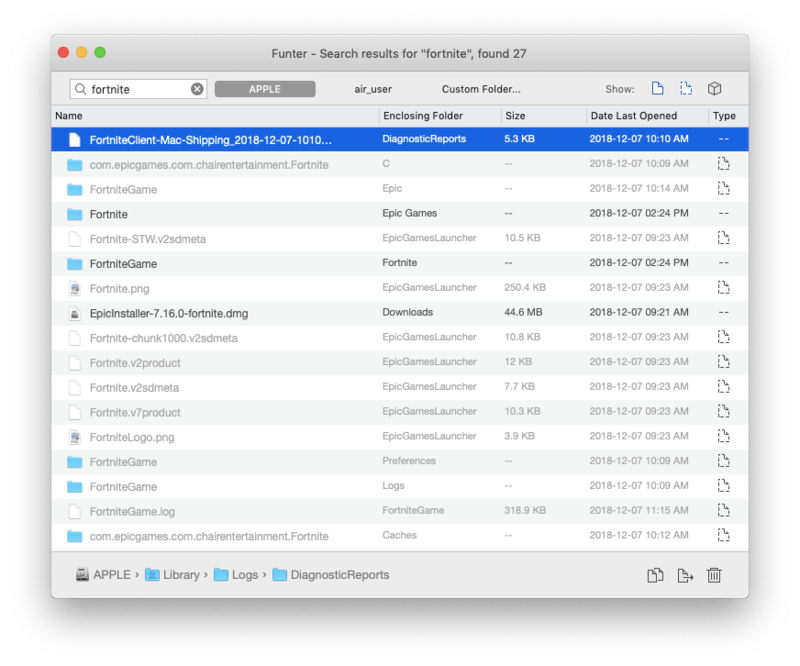 If you want to ensure that all files related to the app have been successfully removed, we recommend that you try Funter. This is a free application which helps to find files and folders, including hidden ones, by using the search feature. In our case, Funter found several files related to Fortnite. You can see them in the screenshot below. If you wish to avoid possible technical issues with Epic Games in the future, you should get rid of the Fortnite remains on your Mac. Therefore, we want to show you the next two ways to uninstall Fortnite in its entirety. Escape the Fortnite game and quit the Epic Games Launcher app. To ensure that all processes of Epic Games are finished, use the Command + Option + Esc key shortcut. This will open a Task Management window. If Epic Games is included in the list of the active items, select it and click on the Force Quit button. By default, Fortnite creates its own folder in which to keep all necessary files. So, you will not find the Fortnite.app in the Applications folder. To delete the Fortnite executable file, open Finder → Macintosh HD → Users → Shared → Epic Games → Fortnite → FortniteGame → Binaries → Mac → select FortniteClient-Mac-Shipping.app and drag it to the Trash. Then empty the Trash to get rid of the Fortnite application completely. Choose Fortnite from the list of applications. All its service files will be selected automatically. Click on the Uninstall button. Review the items you intend to delete and click Remove. Complete the Epic Games Fortnite deletion by emptying the Trash. 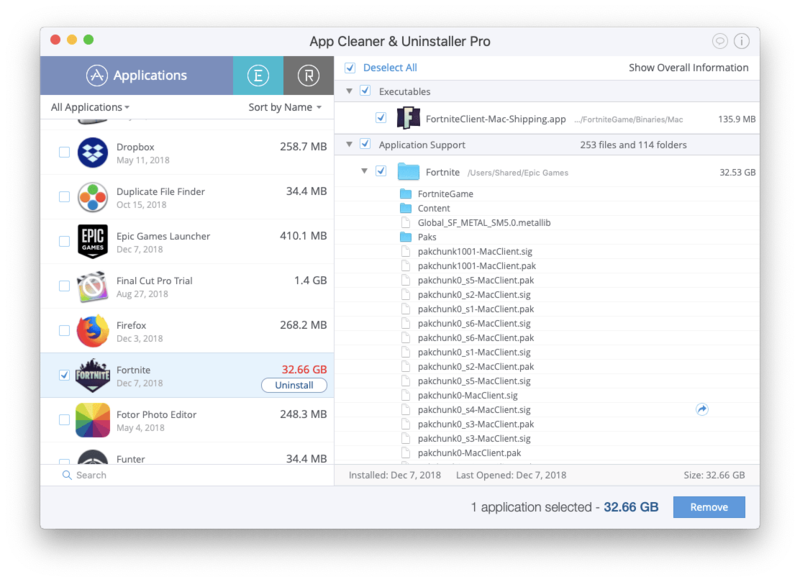 Whatever reason you have for uninstalling an application from your Mac, we recommend using App Cleaner & Uninstaller. It helps to correctly and completely remove apps in just a few clicks. Once you have installed App Cleaner & Uninstaller on your Mac, you do not have to surf the net to find the native uninstaller of a certain app or a guide on how to manually delete an app. To get started, you can download a trial of App Cleaner & Uninstaller for free or purchase it for $9.99 from the official website.